Hey, and how about some salty, crispy grubs instead of peanuts at the bar? Yum! 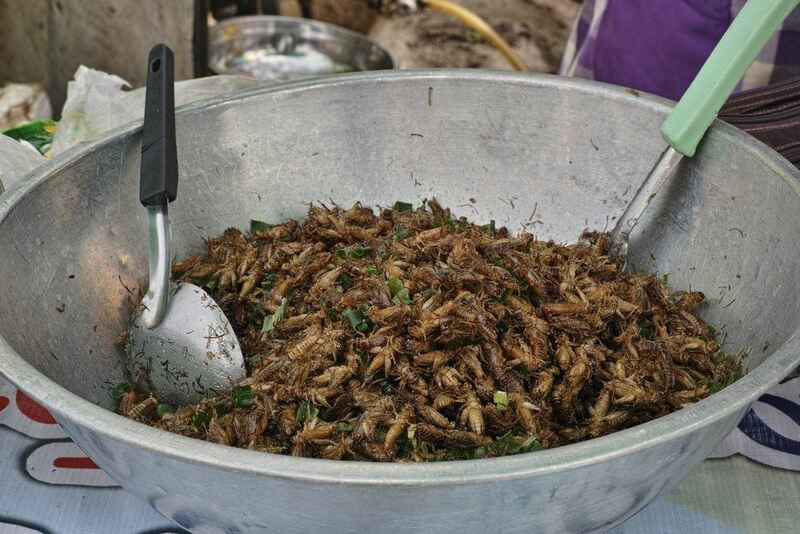 Crickets hardly sound like an appealing food, yet they are being hailed as the ‘perfect protein’ and the industry surrounding edible crickets is growing rapidly. Indeed, you can even find Exo bars at Whole Foods Market, which contain cricket ‘flour’. 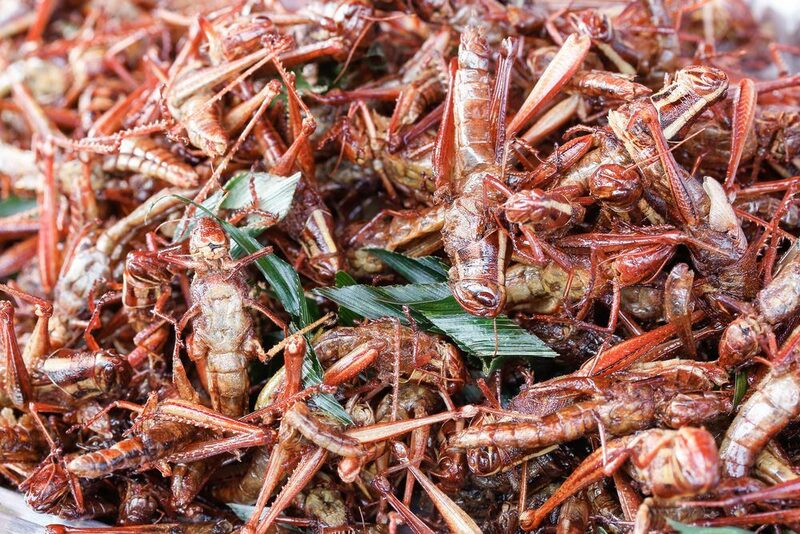 Much of the appeal of crickets come from their protein, because ounce-for-ounce they offer more protein than beef. Nutritionally, the insects are particularly appealing because you are eating the whole thing, which provides you with much more nutrients than just eating the meat from an animal. You might have accidently eaten a caterpillar or two because they were in your vegetables, but eating them intentionally is a whole different story. 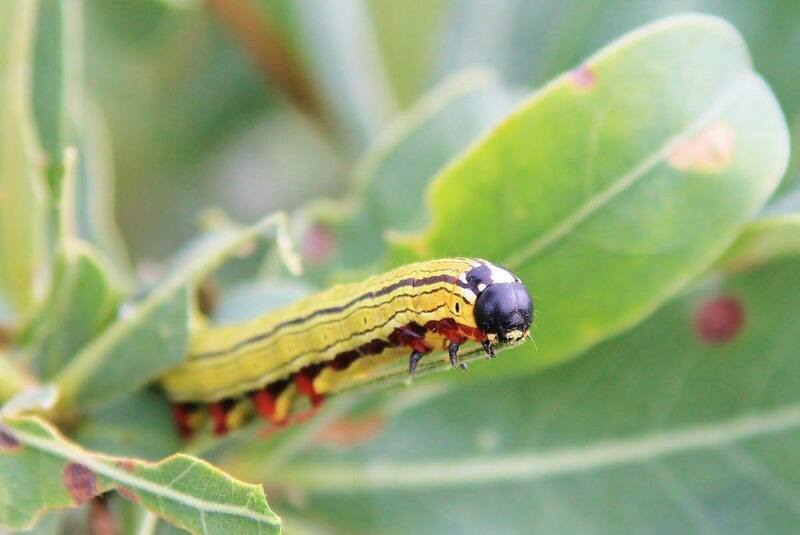 Eating caterpillars is a common practice in some parts of the world, such as Northern Zambia, and they also offer a viable food source for times when the options for food are very limited. 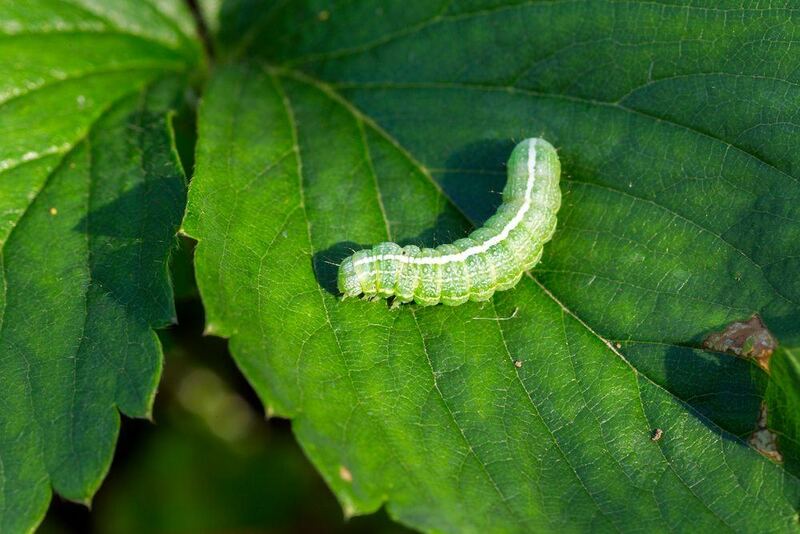 Like many bugs most of us are horrified with, caterpillars tend to be safe to digest and they can even be tasty. Many different ant species can be eaten. This includes the adult ants and it also includes the larvae. Even though they look incredibly unappealing, many people love ant larvae, especially as they do not have the sour taste of adult ants. Roasting ant larvae as soon as they are killed is an important approach to optimize their taste. Doing that is especially significant if the idea of eating ant larvae makes you nervous. Both adult and larval stages of June bugs can be eaten, although some people say the taste of the larval stage is more appealing. The larvae are often more nutritious as well, although eating adult June bugs is an approach that many people do take. As with most edible creepy crawlies there are also many recipes that June bugs can be included in, such as an egg, onion and bug omelet. Termites are a surprisingly common choice when it comes to eating insects, largely because they are so easy to access. Despite their small size, when eaten in quantity they can become a valuable source of protein. 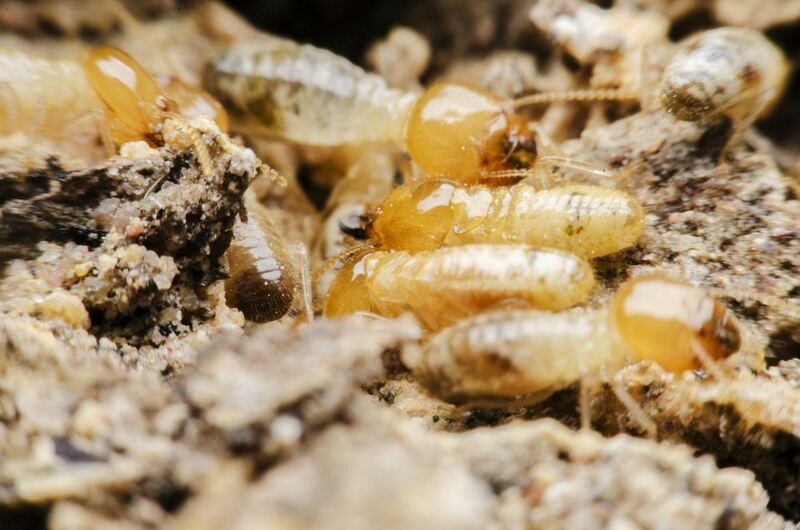 Some cultures eat termites raw, straight from the termite mound. However, lightly roasting termites is also a common approach – and a much more appealing one for most of us. 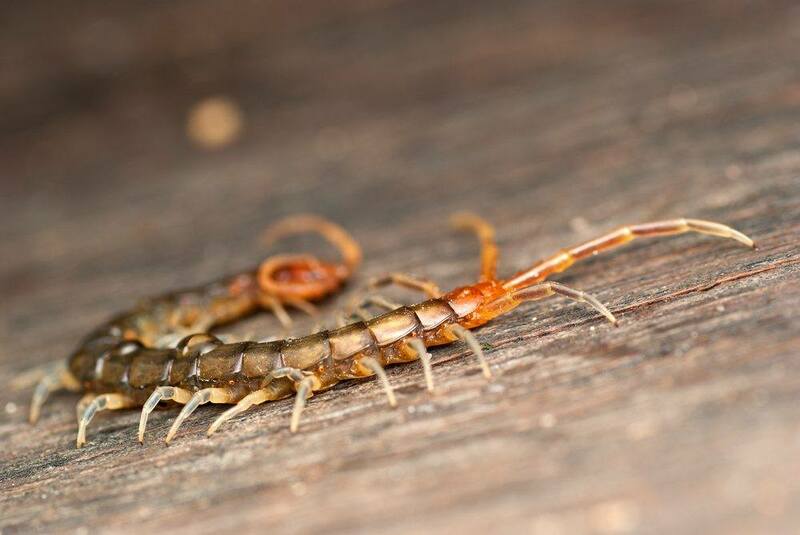 While centipedes aren’t classed as insects, they are still a creepy crawly that has become a surprisingly common addition to the dinner menu for some folks. In fact, centipedes are frequently found as street food in China, often sold on a stick. They have a bitter taste, but some people say they are quite good when seasoned. However, the legs can be a bit tricky, and can easily get stuck in your teeth. 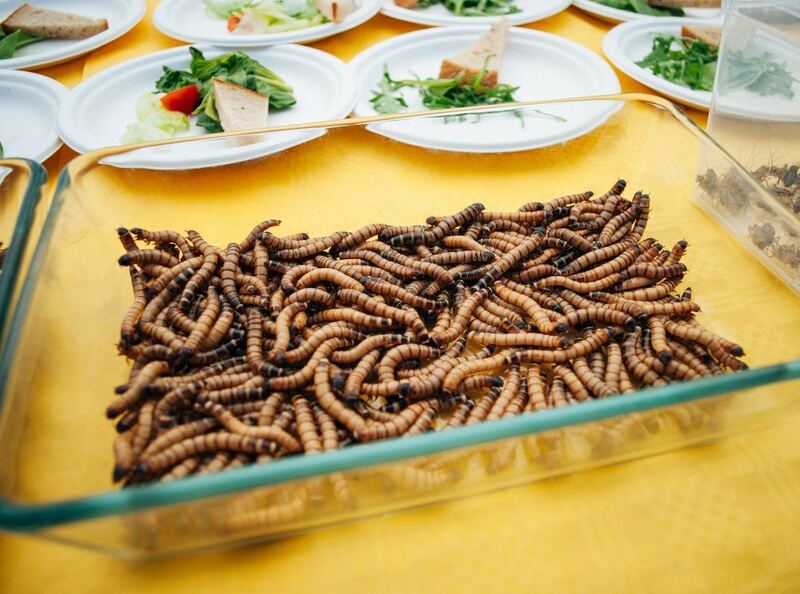 Mealworms are actually one of the more appealing examples of insects that you can eat. Like the other bugs on this list, they are high in nutrients and offer a good source of protein. However, they also have an appealing taste and are best described as tasting like ‘nutty shrimp’. Mealworms are also very versatile and are used in a range of ways, including fried, roasted or sautéed. Visually, red ants are a pretty unappealing option for eating, but most of that comes from our revulsion about eating insects in general. When blindfolded, most people say that they like the taste of red ants, but it is a completely different story when the same person eats the ants. Along with their eggs, red ants are used in a Thai dish, known as Larb Mote Daeng. The dish works because the bodies of red ants taste a bit like lime because of the leaves that they eat. Still – it’s a dish that only some people would be willing to try. Scorpions are another creepy crawly that is being eaten surprisingly frequently. They are frequently found either fried or skewered in China and in Thailand. 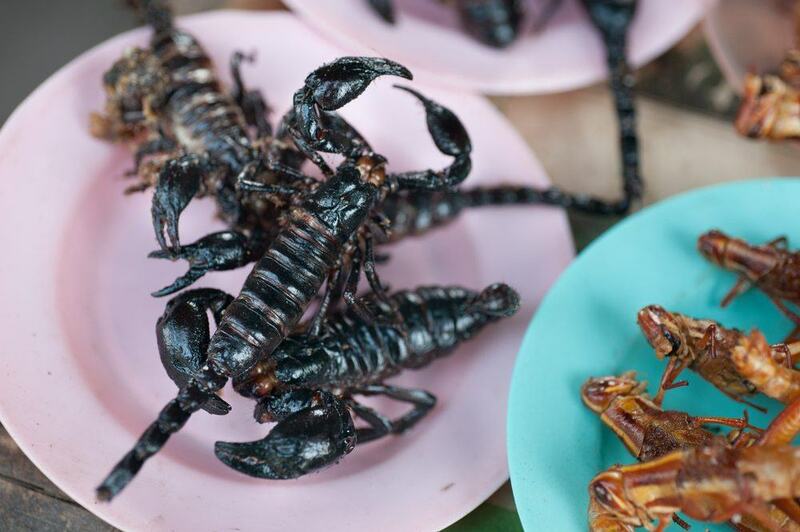 Scorpions do look pretty scary initially, but they really aren’t any worse than eating lobster and even have a flavor that is reminiscent of soft shell crab (although other people say that it tastes like chicken or chicken skin). Many people trying scorpion are surprised to find that they actually like it, especially if they close their eyes. 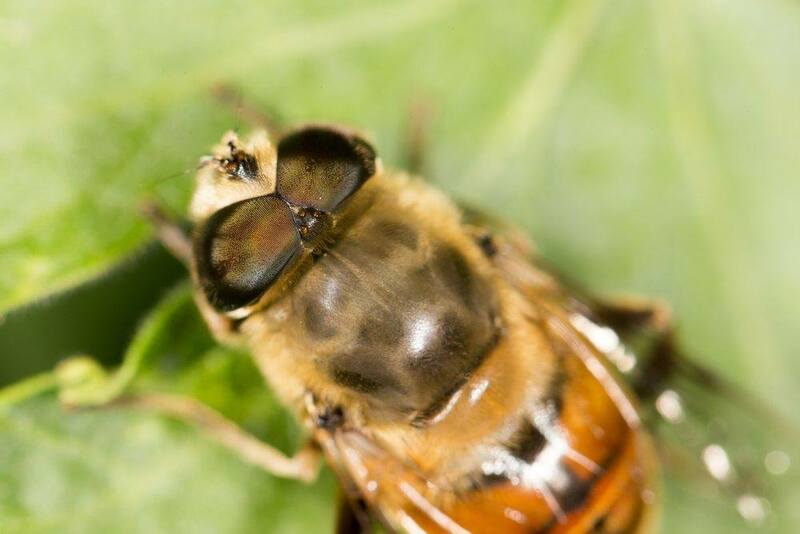 Bees and bee larvae are relatively common choices for edible insects. That isn’t really too surprising, after all, we already use honey pretty frequently. When the larvae are eaten, one common option is to have them sautéed in butter, which can make them taste a little bit like bacon. The adult bees may sometimes be eaten roasted, although grinding them up to produce a type of flour is also common. Lice has a pretty bad reputation, especially if you were unlucky enough to deal with them as a kid. Lice are not eaten all that frequently, partly because even in the worst cases, it is hard to find enough of them. Nevertheless, they can be a source of protein, although their small size means that you have to eat a large amount of them for the process to be even worth the bother. 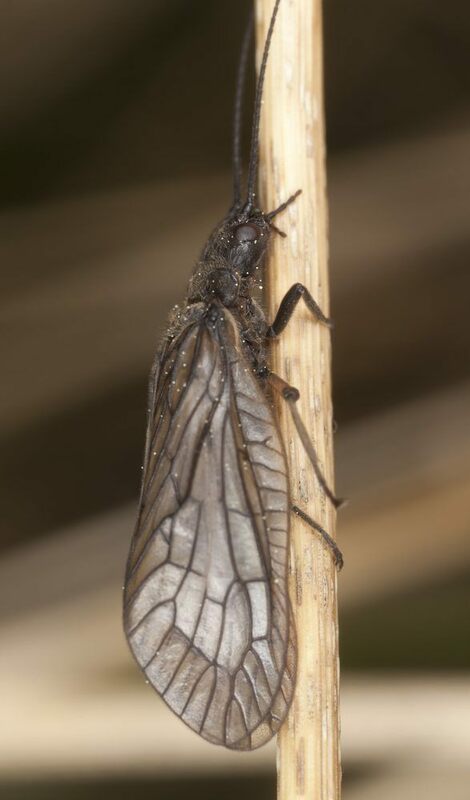 Many of the insects on this list are eating fairly commonly, however, the alderfly is a relatively obscure example of an edible insect. There are roughly 66 species of alderfly and humans sometimes use them as bait for fishing. However, alderflies are edible and they can be an interesting choice for people who are looking for something a little bit more unusual. In fact, the case of the alderfly is also a reminder that most insects are edible, including ones that haven’t become particularly popular in the human population. On the other hand, dragonflies are more commonly eaten, especially in Indonesia. 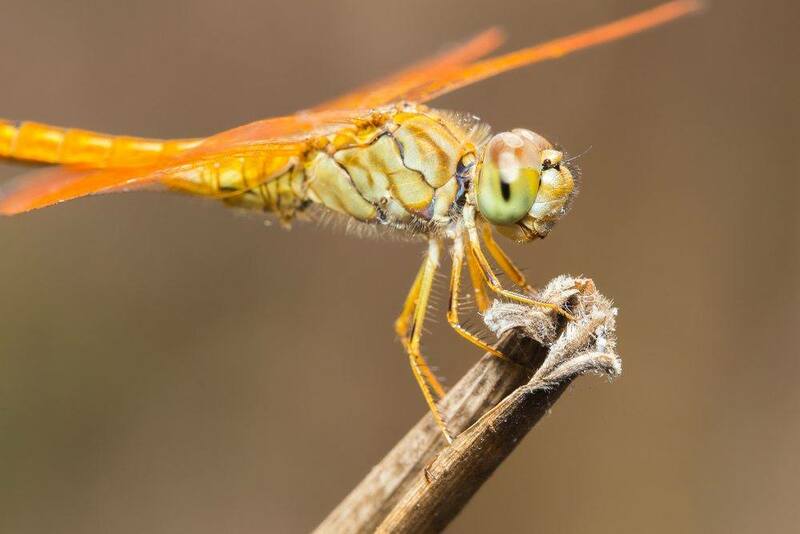 Most of the challenge with dragonflies comes from actually catching them, but some groups of people have developed efficient approaches for catching the bugs. Dragonflies are frequently fried or boiled and have a similar taste to a crab. 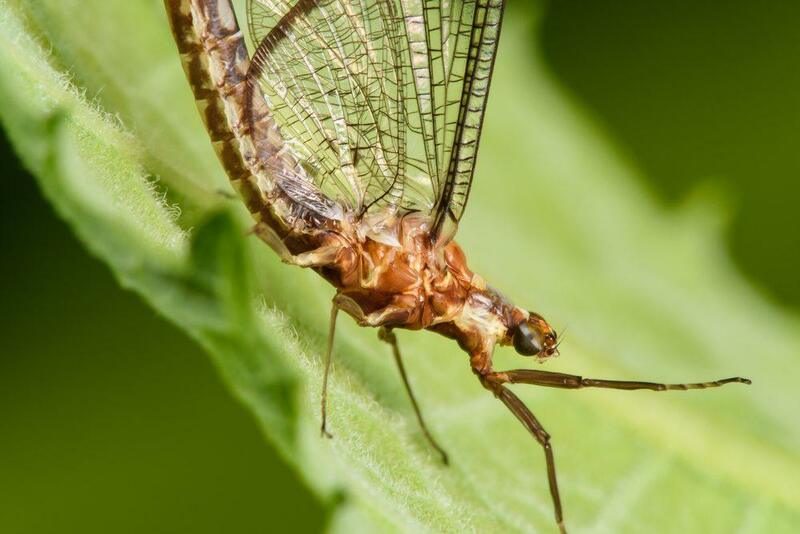 Mayflies have not made their way into cuisine much, but they do still have their place in survival. It’s relatively easy to pick these insects off the surface of the river. Like many other insects they can actually be eaten raw, although cooking them is always a safer option. 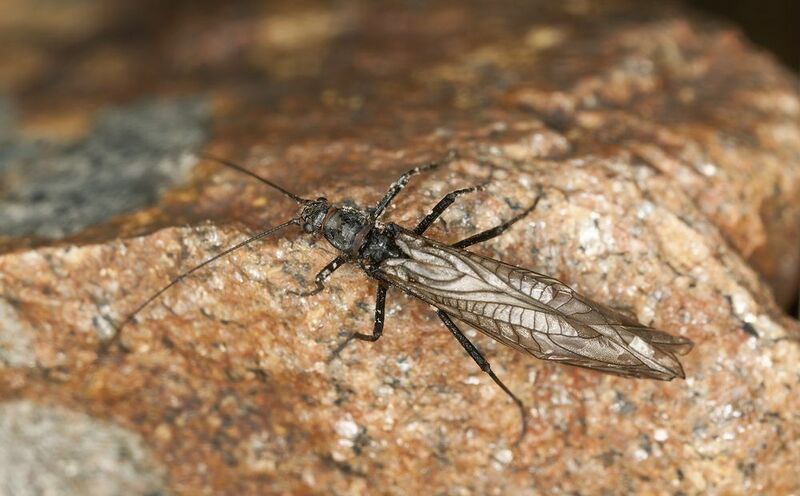 Stoneflies are another example of an edible type of insect that is largely ignored. This makes them especially relevant for survival situations where other options for food are not readily available. While eating raw is always an option, it is always safer to cook them, just in case the insect is contaminated by its environment. Eating locusts has a long history and that approach was even mentioned in the bible multiple times. 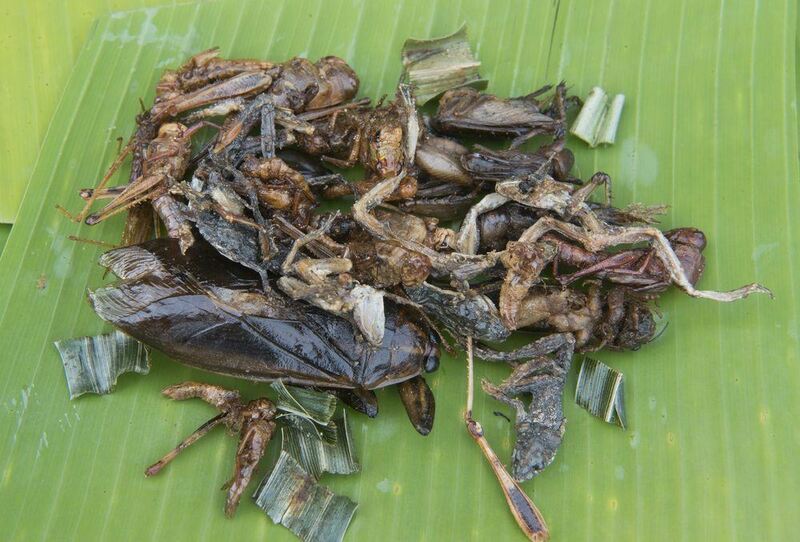 Eating locusts has become particularly popular in recent years, as Israel experienced a major locust invasion in 2013. With an excess of the insects there was a growing interest in eating locusts, particularly deep fried or covered on chocolate. That’s certainly a novel way of dealing with a pest that won’t go away. 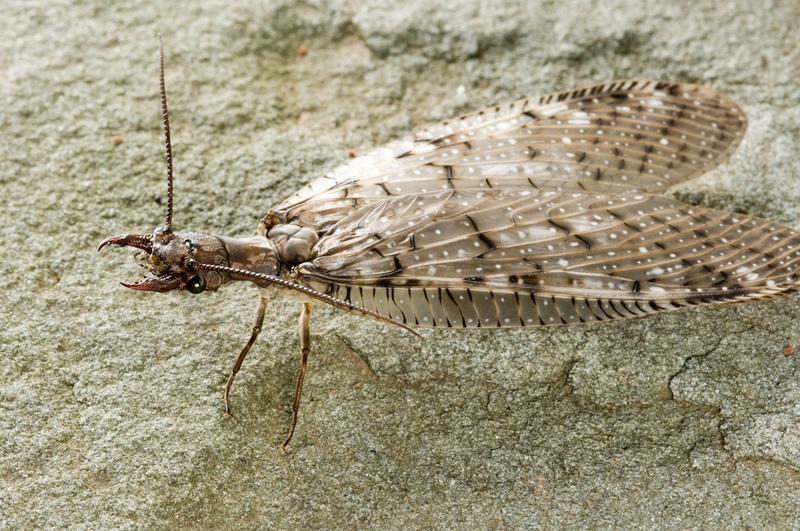 Caddisflies are one of a number of species that are referred to in the Japanese term zaza-mushi, which specifically refers to aquatic insects. 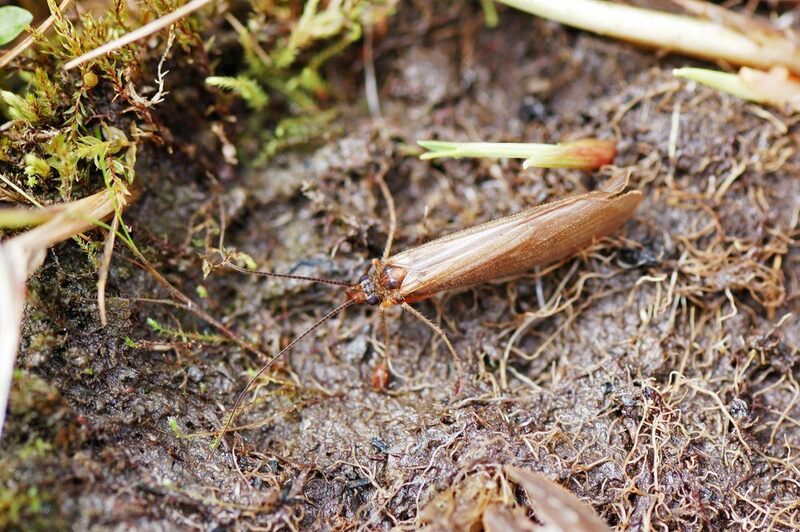 Along with the other species, caddisflies are commonly eaten in Japan. 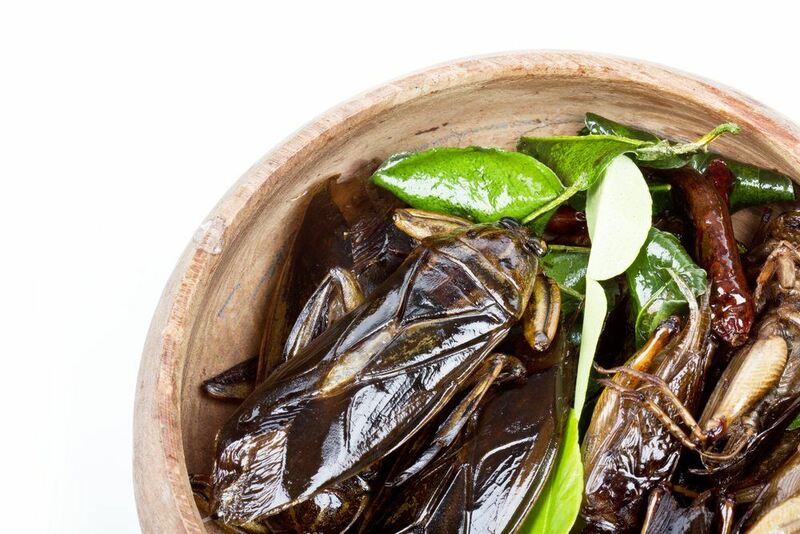 One common approach is to first boil the insects and then sauté them in a combination of sugar and soy sauce. 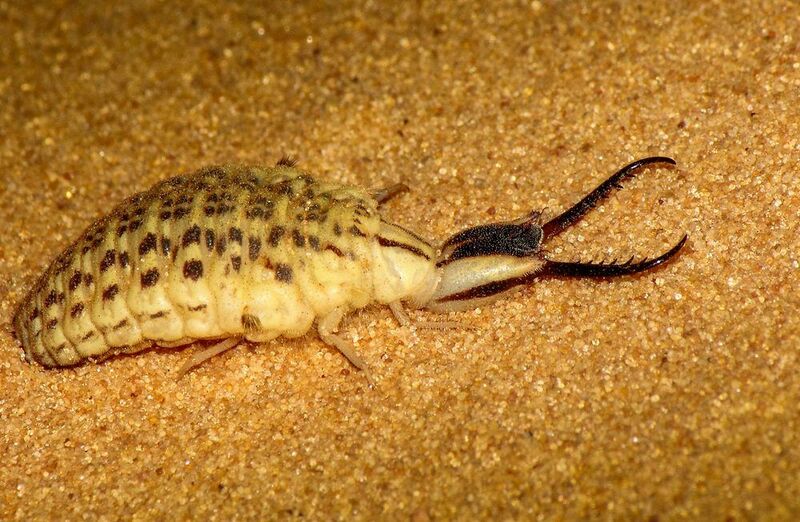 Antlions are particularly cool looking insects, although they are often overlooked when it comes to eating insects. Despite this, they are edible and they do offer a valuable source of nutrition and protein. The insects are predators, frequently eating ants, although some species do eat pollen and nectar. 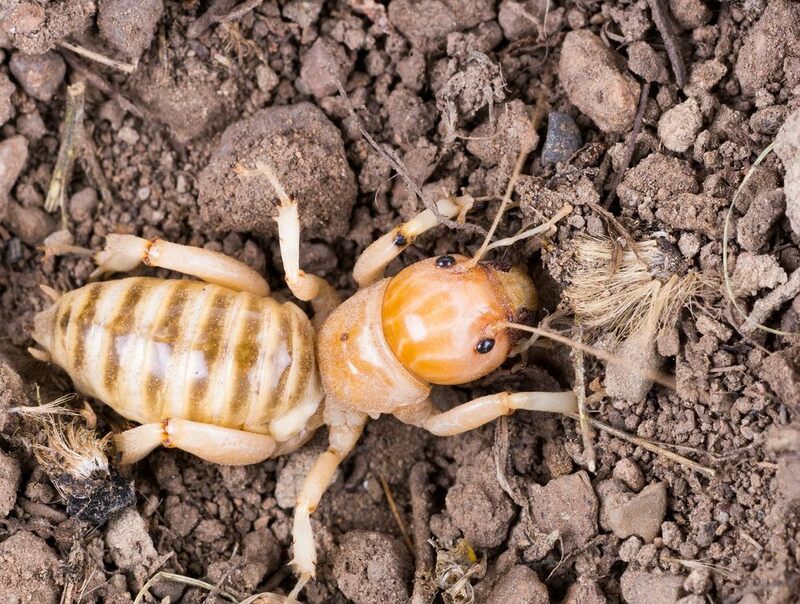 Potato bugs belong to the same superfamily as king crickets and weta from Australia and New Zealand. 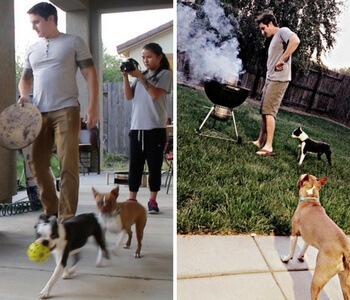 They are particularly interesting because of their appearance, which looks a little too human-like for most people. 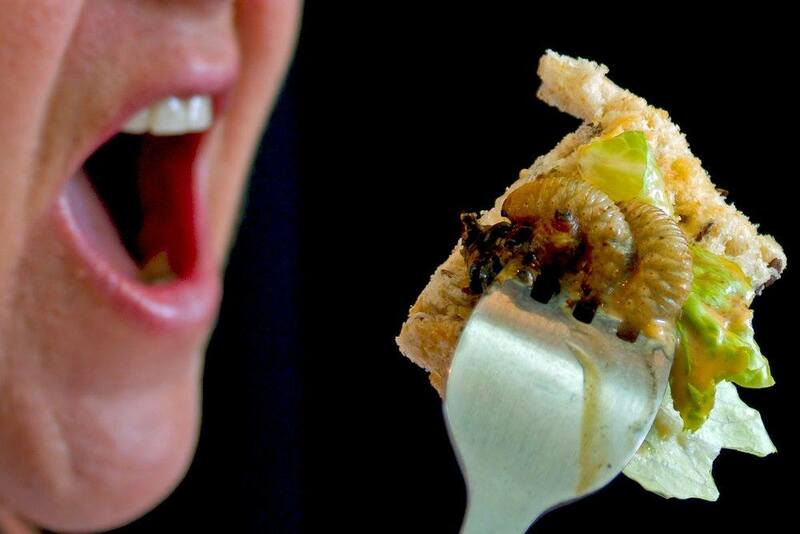 The bugs have also been featured on Fear Factor, although unlike Fear Factor, most people generally do not choose to eat the bugs live. Most of the time we use earthworms as a way of catching fish, but they can actually be relevant for human food as well. In fact, there is even an eco-restaurant in Croatia that has multiple dishes that use earthworks as their primary ingredient. One example of this is deep fried earthworms. 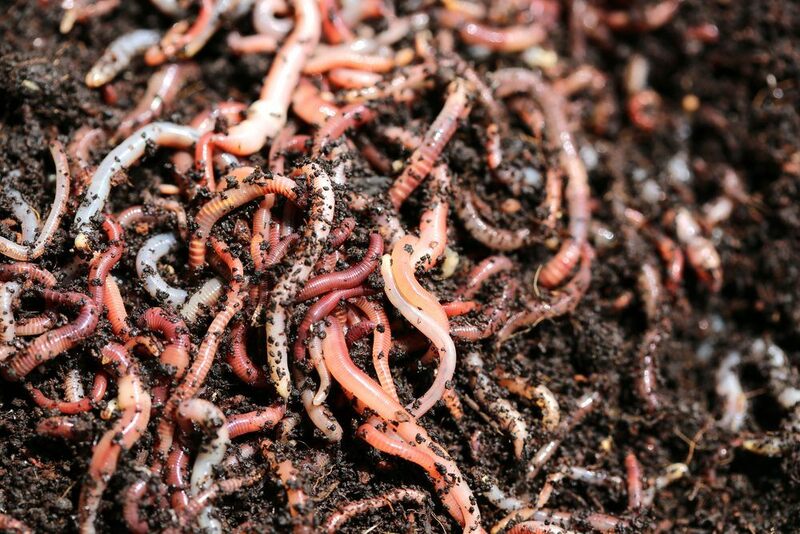 Earthworms are particularly popular because of their high protein and high iron content. Leeches are a particularly challenging example of an edible bug. 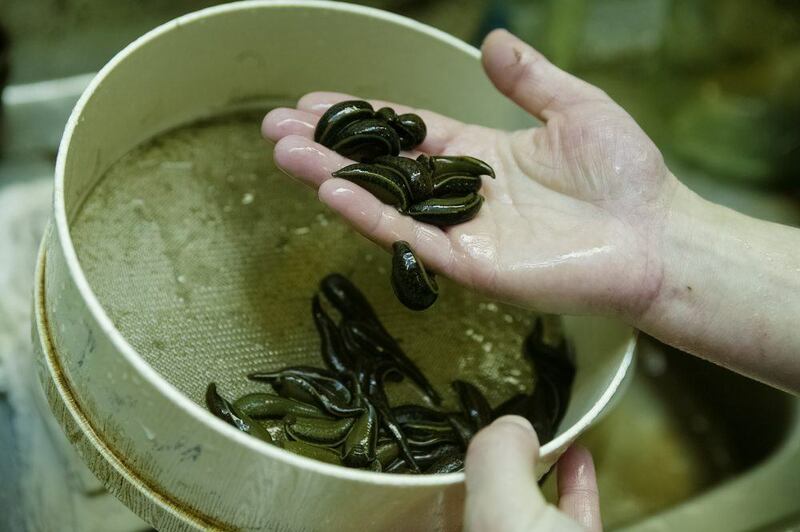 The problem is that they have a slimy texture, which can often make people gag. One way around this is to use leeches in cooking or cook them then grind them into a paste. If you can get past the slime factor, then these bugs are a good source of nutrients, although I wouldn’t go as far as saying that they taste good. 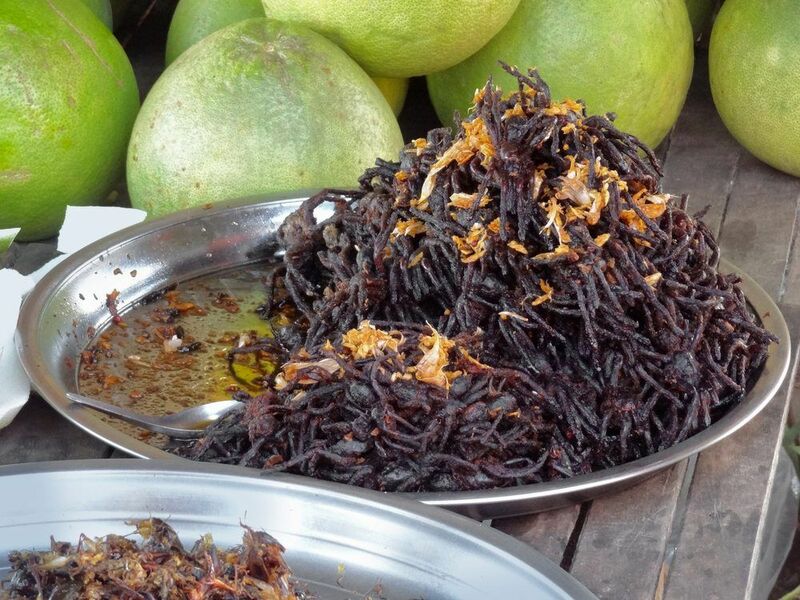 Fried tarantulas are considered a delicacy in Cambodia, and you can frequently find them being sold as snacks in markets. The frying approach results in a crispy outside, while the center of the spider’s body and head contains soft white meat. The exterior tends to taste of the spices that it has been fried in, while the interior has a taste similar to chicken or cod – although not everyone agrees. This is one dish that some people love, while others cannot stand. 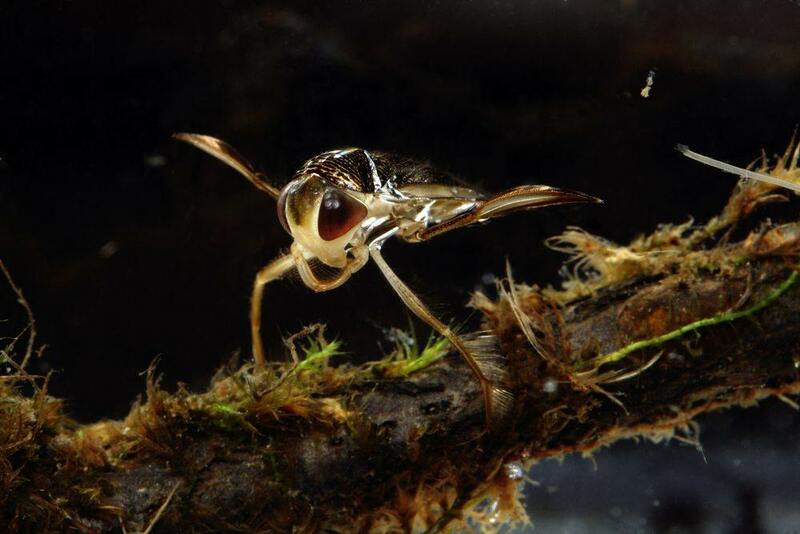 Water boatmen are a relatively obscure bug that most people probably haven’t heard of. It is also visually similar to a second type of bug, known as the backswimmer. Both of those types of bugs are actually edible and can be an interesting source of nutrients. However, most of the time people prefer to eat the eggs from this species either raw or dried, like caviar. Because of this, there isn’t that much information available about what the bug actually tastes like. 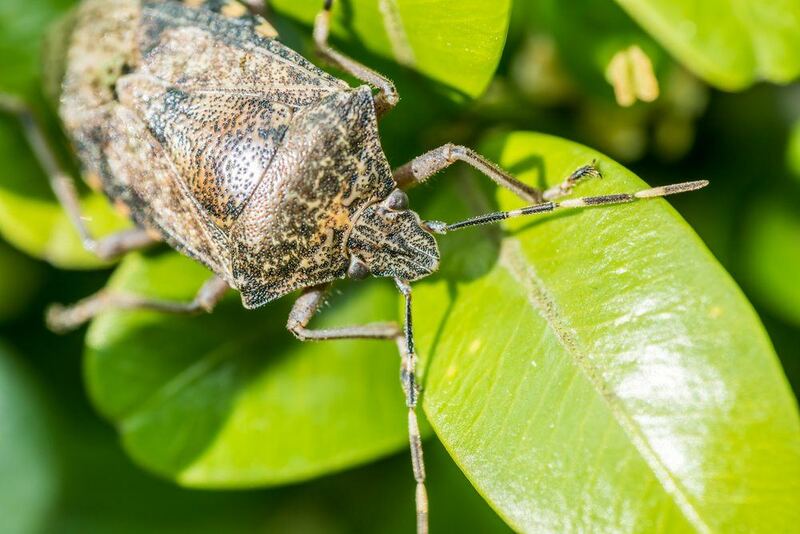 Stink bugs are named for the smell that the insect makes when it is crushed – which makes it sound like a particularly unappealing option for something to eat. 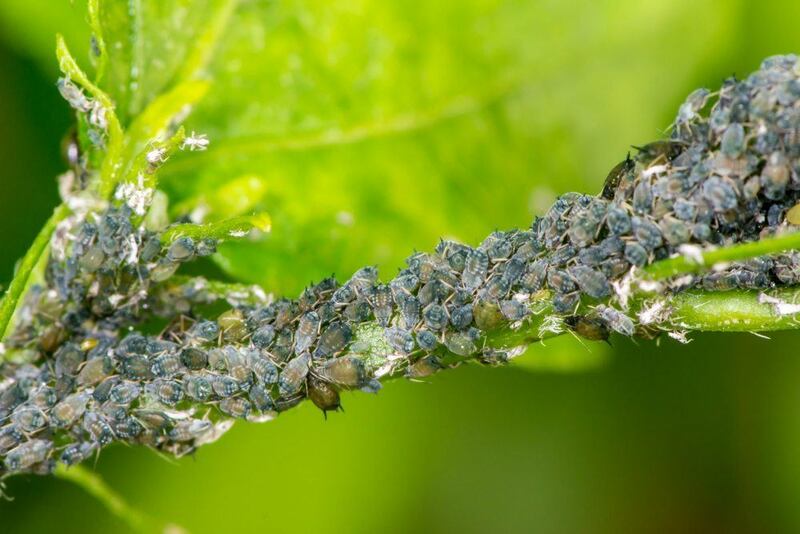 Nevertheless, stinkbugs are a good source of iodine and are relatively frequently consumed. Even though they have a strong smell, this does not translate into taste. Instead, they have a garlic-like flavor that can be quite appealing. A good general rule is to avoid eating insects with brightly colored markings, as this can indicate that the insect is poisonous. However, wasps are an exception to this rule. 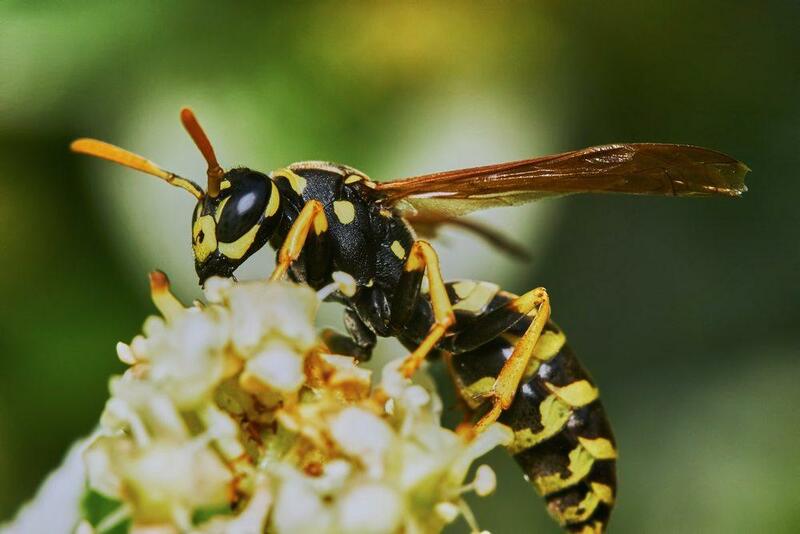 The larvae of wasps can be eaten easily, but the adults take more care because they have a stinger. The sting should be removed prior to eating, and ideally the wings and legs as well. It is also important to cook wasps prior to eating to ensure that there are no negative interactions. Cockroaches tend to incite some pretty negative reactions, so the idea of using them in food might seem pretty far-fetched and very unappealing. However, you don’t want to be eating any cockroaches you find around the house. 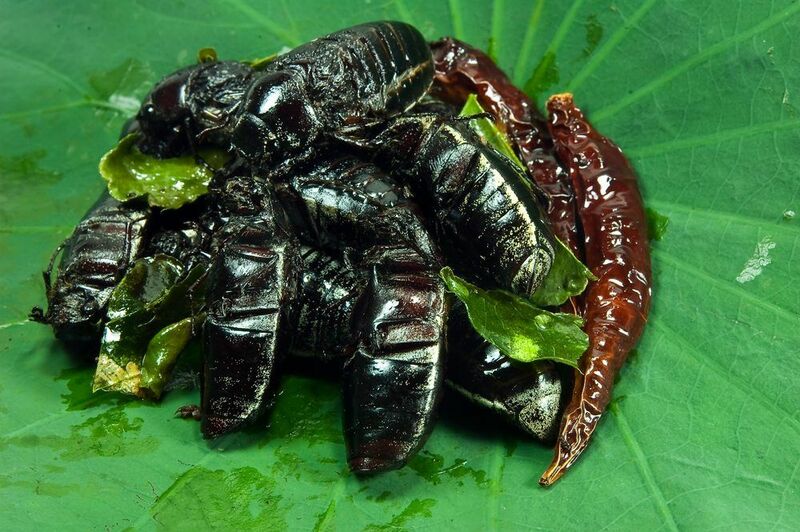 Cockroaches can be both tasty and clean options for food, but it’s important to focus on ones that have been fed fresh vegetables and fruit. After all, you really don’t want to be eating anything that is in your garbage. 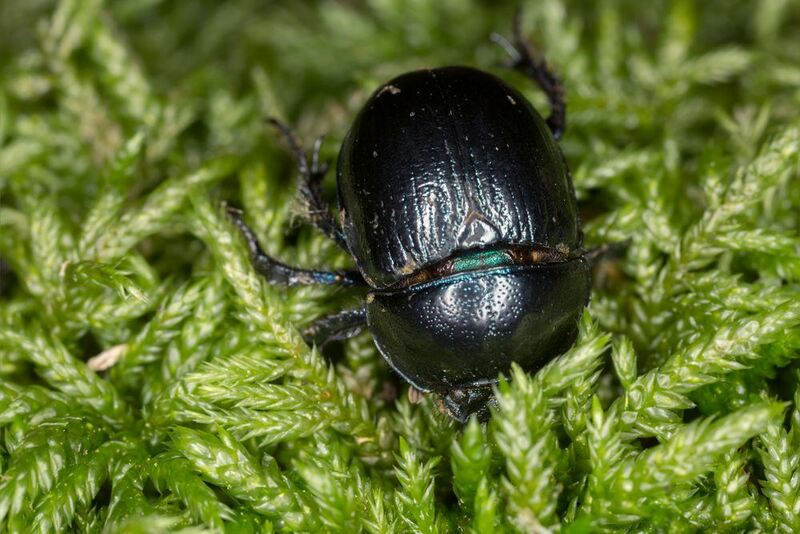 Dung beetles certainly don’t sound appealing, but they are commonly eaten. Normally they are fried prior to eating and are known to have an appealing taste. When sourced for eating, dung beetles are cleaned prior to roasting and they are also seasoned. Nevertheless, they are still a bit of an acquired taste. 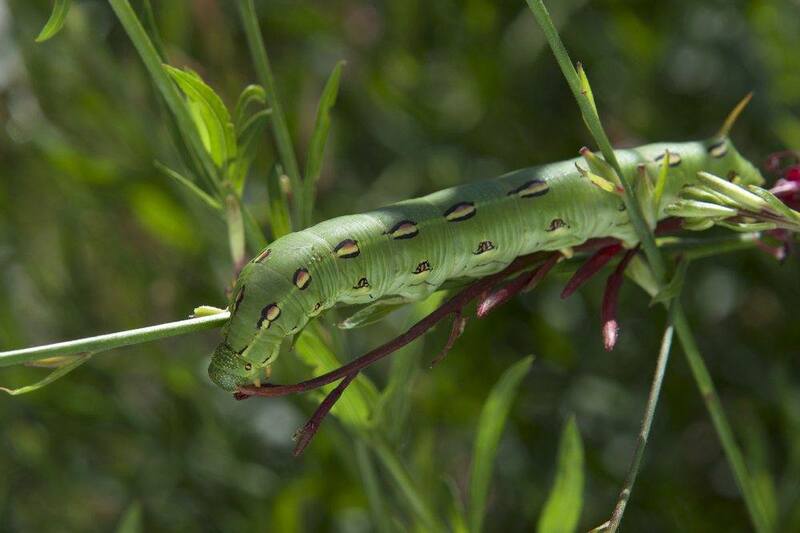 Hornworms are common pests for tomatoes, as well as eggplants, peppers and a few other vegetable garden species. While they can be a frustrating pest, hornworms can be fried in much the same way as you would fry a tomato. Their taste is a combination of crab and green tomatoes, although this can vary a bit depending on what they have been eating. 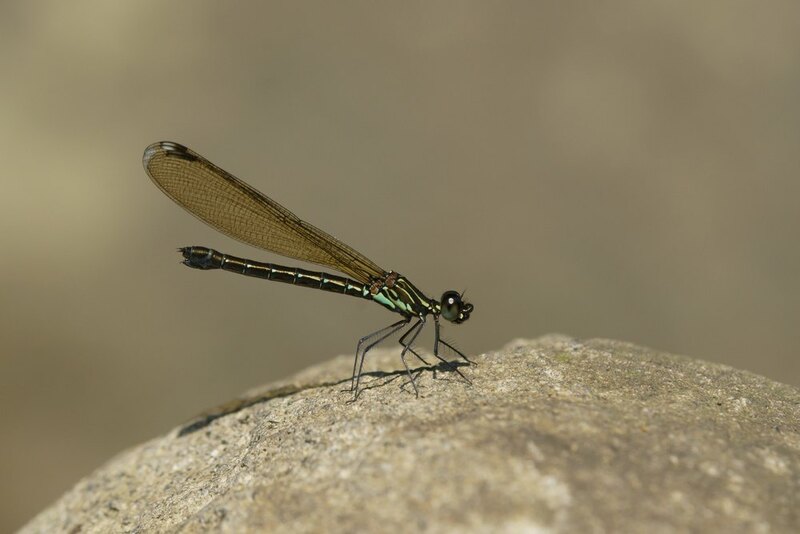 Like many similar types of bugs, damselflies are edible, even though they are not commonly eaten. In fact, there are around 1,700 different species of edible insects, although only a fraction of these are eaten on a regular basis. Because damselflies aren’t eaten frequently, there isn’t much information available on the taste of these insects. However, they are likely to be a crunchy food, as there is relatively little meat on their bodies. Dobsonflies are a particularly scary looking insect and they have an equally frightening larval forms. Both the adult and the larval forms of dobsonflies are edible, although their spiny nature means that you do need to take care with them. This species is a good survival choice, as it offers nutrients and protein, however, there are many easier culinary alternatives. Mopana worms are a type of caterpillar that has become a popular insect in southern Africa, to the extent that caterpillar farming has become a viable way for households to earn money. The caterpillar offers a rich source of protein and they are often sold dried and raw, although they are sometimes used in cooking. Most of the time, the end product ends up being particularly chewy, which can be a challenge for people not used to them. Midge flies are tiny, which makes them an unusual choice for an insect to eat. Most of the time they are used to make kunga cake, and the process involves compressing the flies to form a solid block and then cooking it. Outsiders sometimes refer to the cake as mosquito hamburgers, which does make it sound pretty unappealing. However, with the prevalence of mosquitos in the area, it’s easy to see the nutritional value of such an approach. 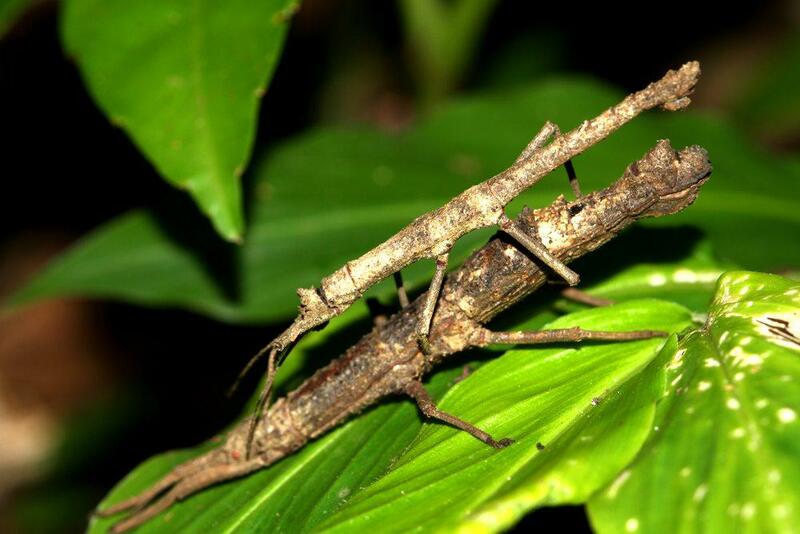 Walking sticks (the bug that is) are commonly eaten in Papua New Guinea and in Asia. The taste can be somewhat leafy, but that does depend on how the insect is cooked. Additionally, there are multiple different species of stick insects and they vary considerably in size, appearance and (potentially) taste. Witchetty grubs are commonly eaten in Australia, particularly by Aborigines. The grubs are often of large size, which can make them particularly appealing as a source of nutrients. They tend to be high in both fat and protein. While the texture of the grubs can take some getting used to, the taste can be quite appealing, with notes of nuts and eggs. It is even possible to eat them raw, although most non-locals prefer them cooked. 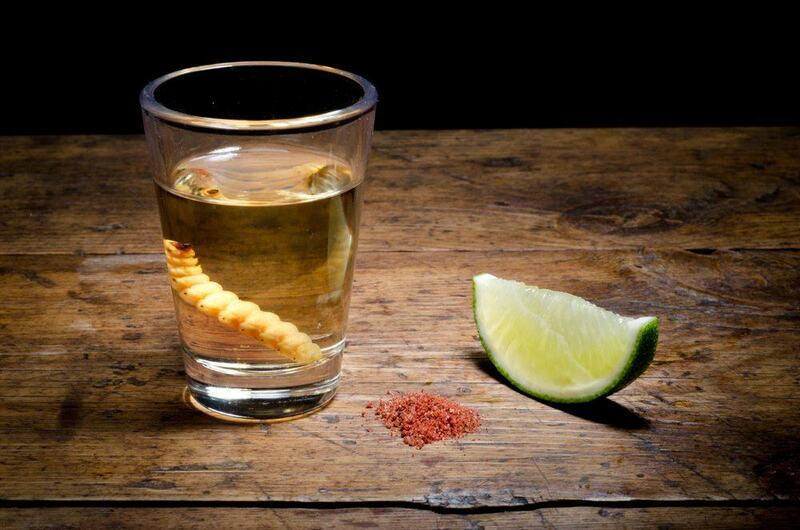 The agave worm is one of the species of worm that is sometimes included in tequila. The work actually acts as evidence of the quality of the tequila, because only a certain proof of tequila will preserve the worm. The worm is entirely edible regardless of whether you eat after drinking tequila or whether you actually use the worms as part of a meal. Cicadas are best eaten just after they molt. At that time the insects tend to be both soft and juicy, making them an appealing option for food. However, they can also be eaten when they haven’t molted. 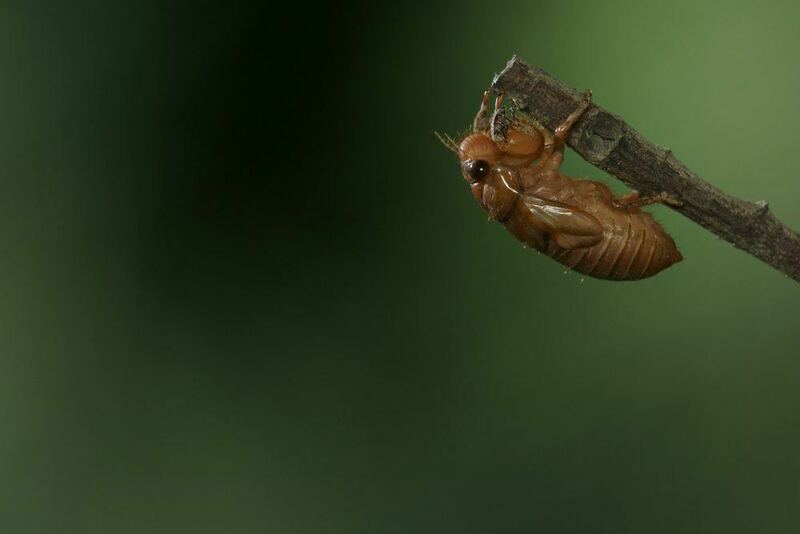 Globally many different species of cicadas are eaten, depending on what is prevalent locally. At the right time of the year cicadas are also very prevalent, which makes them an especially viable option. While some people eat the insects live, eating them cooked is normally preferable. Mosquitos are an edible option, but this is a type of insect that you need to be careful with. 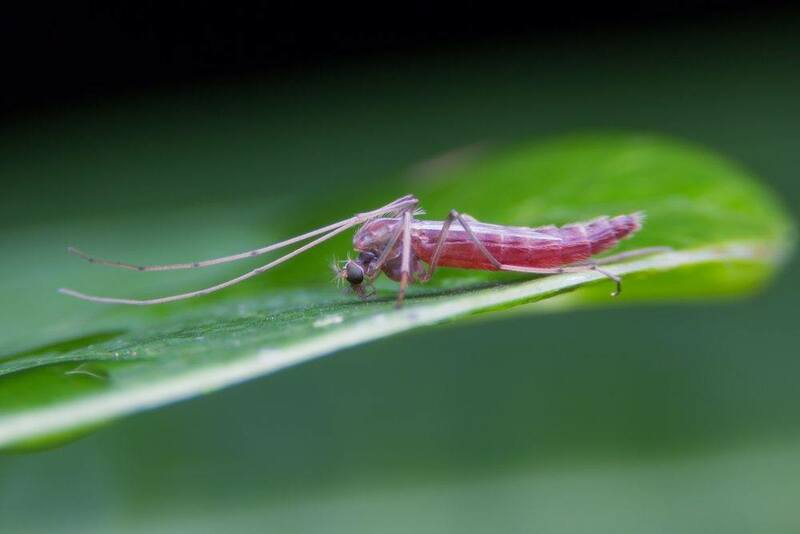 The problem is that mosquitos can sometimes act as disease vectors, which can make them a poor choice. 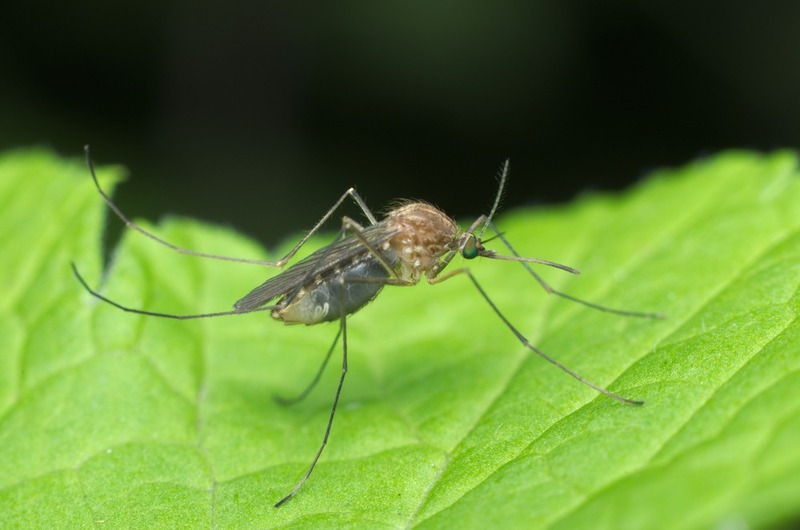 However, some specific types of mosquitos can be eaten because they do not carry disease. The trick is to do your research carefully and make sure you aren’t eating anything that is likely to compromise your health. 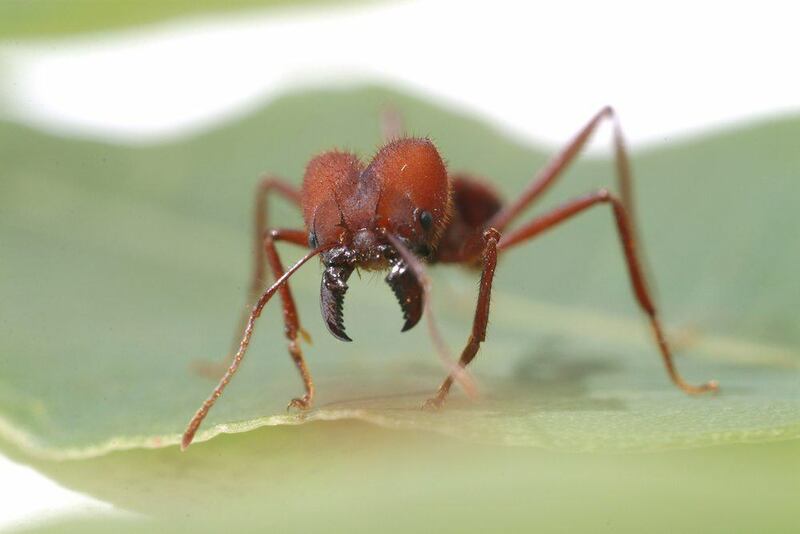 Leafcutter ants are another example of ants that you can eat. They are most commonly eaten in South America and typically they are toasted. Their taste is said to be pretty appealing and is often described as a combination of pistachio and bacon flavors. 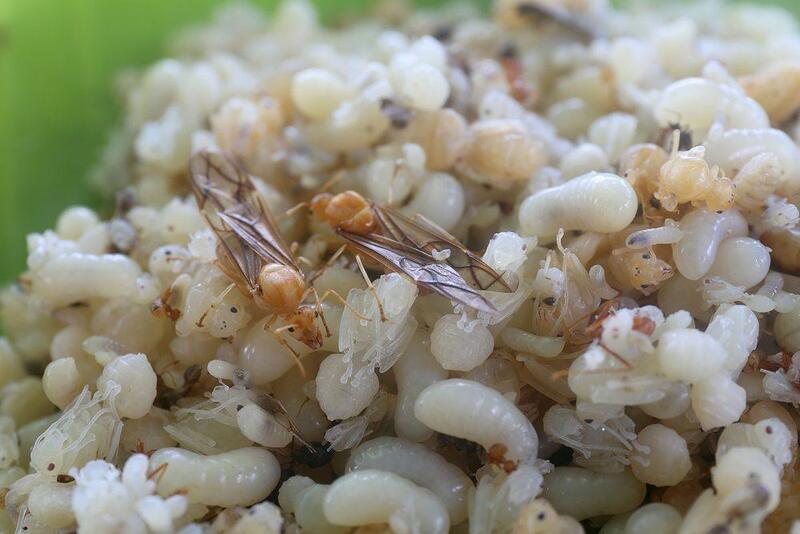 You can even sometimes buy containers of toasted ants and these can be eaten much like popcorn. 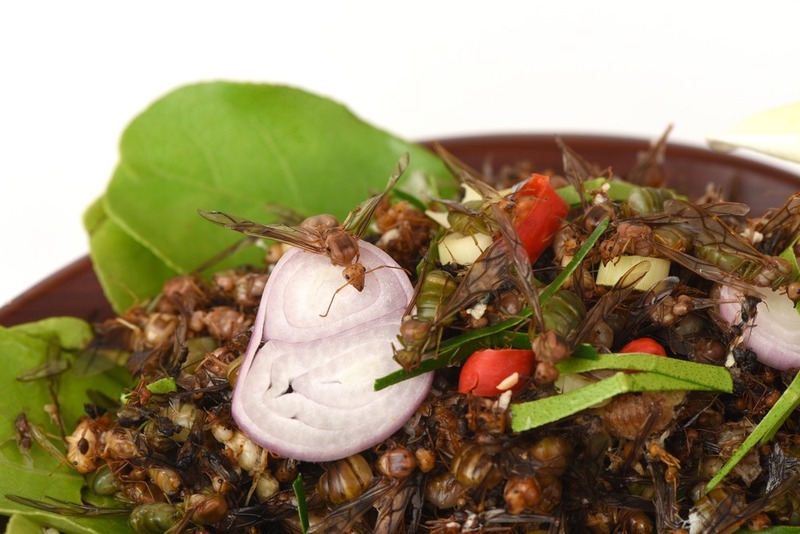 Grasshoppers are (surprisingly) a pretty common option when it comes to eating insects. They are especially common in Mexico, where they tend to be flavored with lime, garlic and chili powder. At the same time, the insects turn up in a range of different dishes. Grasshoppers have become part of Mexican tradition, but they aren’t an emergency dish for people with no other options. Instead, they can be pretty expensive and can be considered a delicacy.